Some makes purchase decision based on how something looks. And some based on feature. 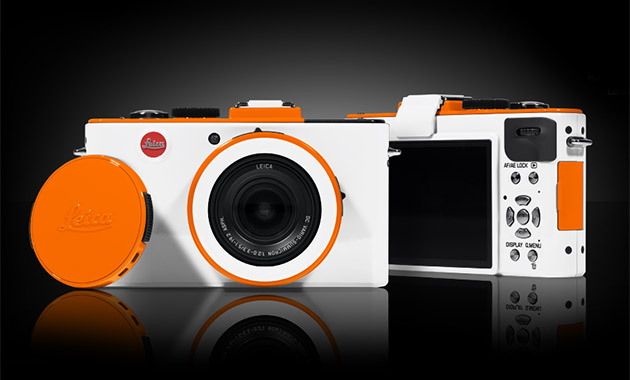 Leica blurs the line between the two with their new ColorWare D-Lux 5 Camera ($1,200). As the world's first customizable camera, the ColorWare D-Lux 5 features simple, yet distinctive lines, an unmistakable modern design and an exterior available in your color of choice. Specs include a fast F/2.0 lens, high-res 10.1 megapixel sensor, large 3-inch LCD screen, 720p HD video capability and O.I.S. image stabilization for jittery hands.